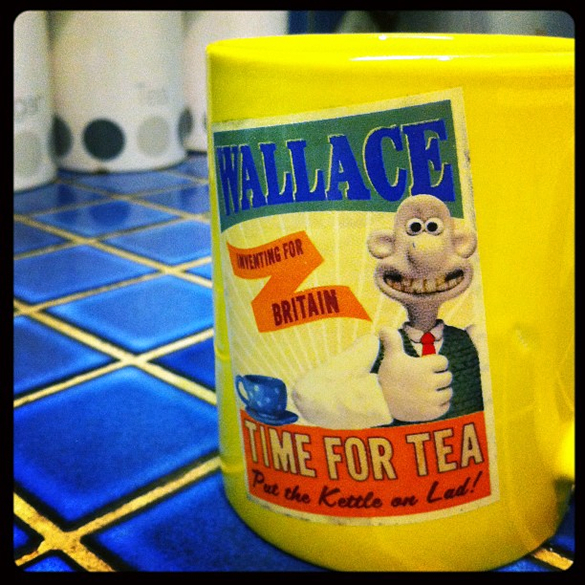 Bristol-based producer McCabe has had plenty of time to develop his own sound. Famously, he created his first tracks at the tender age of 17. Now 28, he’s spent the last 11 years fine-tuning a trademark sound that is effortlessly soulful. McCabe made his name in soulful house, developing a long-running relationship with legendary US garage label King Street Sounds. Since then, he’s amassed an impressive discography, delivering inspired reworks for labels like Local Talk, Z Records, Strictly Rhythm, Room Control, Tribe, and Quantize. A quick listen to any of his productions or one of his superb DJ sets will confirm this attractive, emotion-rich aesthetic. While rooted in house, his sound regularly takes on flavours of disco, boogie, Afro, deeper grooves, proto-house, ‘80s garage-house dubs and much more besides. As a DJ, he has forged a reputation at the legendary Southport Weekender, where he has performed regularly. Anyone who can impress the notoriously knowledgeable Southport Weekender crowd must be doing something right. McCabe has traveled the world as a DJ, playing as far afield as Asia and the United States, as well as regular appearances in Europe and the UK. Refreshingly, he seems to have no particular aspirations to play in gargantuan clubs, and admits to preferring gigs in small, intimate venues, where he can make a connection with the crowd. As a producer, McCabe is constantly learning and evolving, taking his sound in different directions. He admits to a love of vintage synthesizers – picked up from listening to classic New York boogie and ‘80s soul. 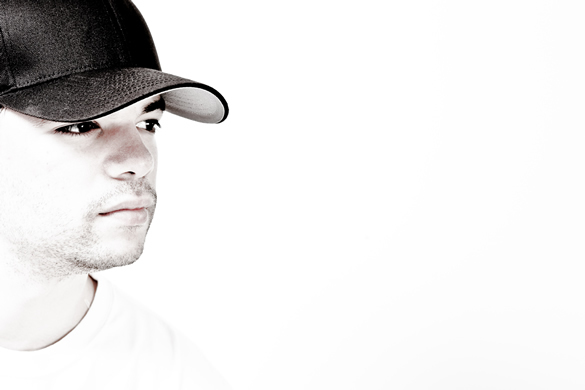 With notable collaborations with the likes of Karizma, Nathan Adams, and Groove Assassin, his reputation continues to rise. 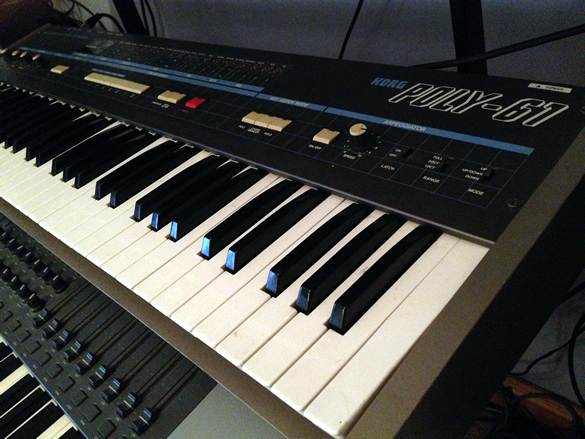 This keyboard is probably quite under rated, but it would have to be ‘Korg Poly-61’. It can be a little harsh sounding but is still very warm too. It’s helped to inspire new many ideas over the past 3 years that I’ve had it. I rely on it to help come up with fresh ideas when I start tracks, especially when I’m struggling for inspiration. It’s great for pads, chord stabs, and arpeggiators. Typically, I’ll start by making some beats first as it is normally what helps inspire the rest of the groove. Next I normally start working out some chords or stabs, something to hook you into the track. Trying out a few pads, Rhodes or synth sounds can sometimes help with this, as an interesting sound is what can help me to come up with a hooky chord progression or stabs. 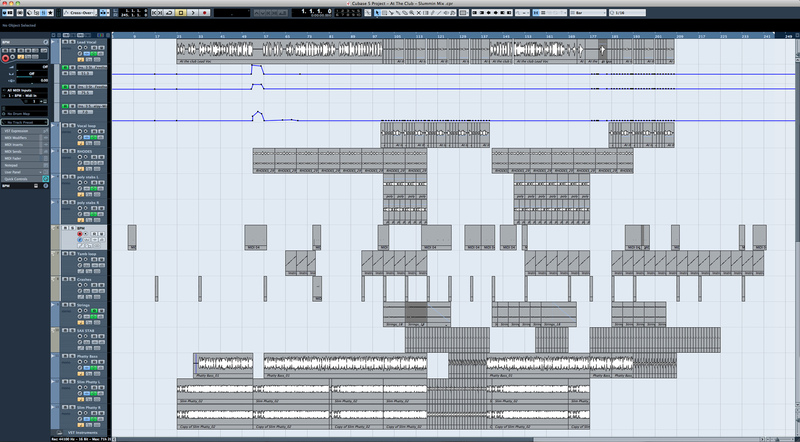 If I want to make a vocal record, It usually helps if I already have an acapella / vocal to work with first to write to. Once I find something I like in the keys, a bassline is normally next. It could be anything from a subby synth, a fat squelchy bass synth, or a live bass. For live bass I use Trillian (then get it replayed live depending on if it works or not), and for synth bass I would use the SH-09 or Moog Slim Phatty. I’ll then lay down any extra chord / key changes that I want to use before I start to add more outboard sounds. Once the meat of the music is down, I’ll then start to add other complimenting keyboard elements, like stabs or extra sustained chords / pads, hammond organ, synth leads, strings, solos, and I love using arpeggiators for those extra sprinkles of energy in the music. The final part would be arranging the beats with the song, meaning sequencing out more drum scenes to go with the main pattern, like drum fills and breakdowns etc. Lastly I would record in crash cymbals, which I play along with the whole track on the drum machine, and then any effects like whitenoise and sweeps. Mixdown wise, I tend to mix the track as I go along, so when I’ve finished making the track, the mix is already about 90% there. It’s just those extra touches to perfect it. Sometimes I’ll also master it myself so I can play it out straight away. 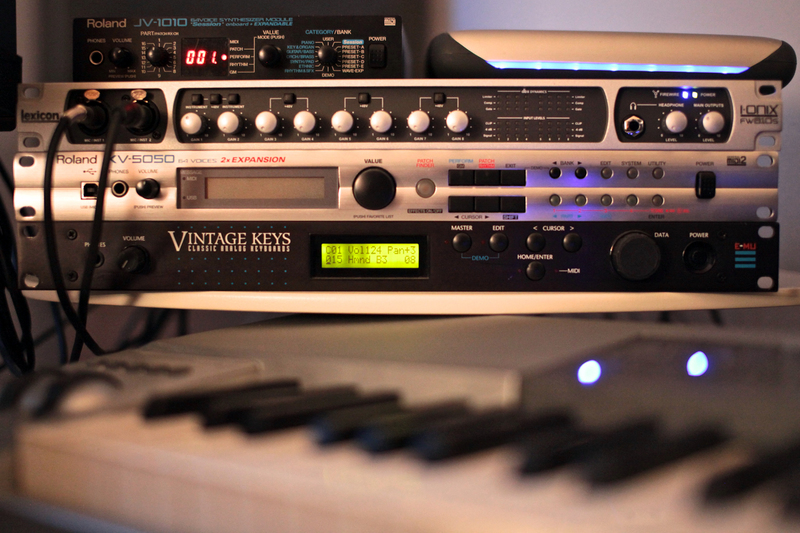 What piece of studio equipment or production process defines the Sean McCabe sound? I think that my sound is defined more by how I play my keys, in terms of chord progressions, timing and also how I program my beats. So if I had to choose something, it would be how I make beats. 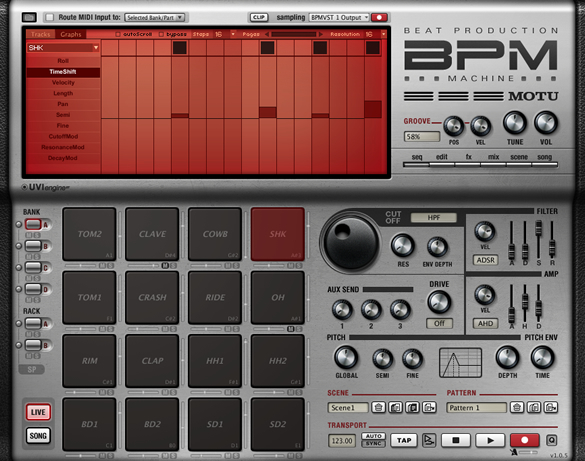 I use software called ‘Motu BPM’, which I run as a VST instrument in Cubase. It’s great to use for arranging the drum scenes along with the song, and quick for putting ideas down. I always try and make the beats a bit loose and swingy, almost with a live feel. Something I do to achieve this in BPM is a mixture of using the MPC style ‘swing’ function and the ‘time shift’ function. Using the time shift you can move individual hits slightly off beat, either slightly early or late by a few milliseconds. It’s great to using when layering up various snares and claps together on the same beats, then shift them all off from each other. It makes it sound bigger, more real, and gives it more groove. Also, choosing 2 similar sounds (like 2 hi-hats for example) and panning each one left and right whilst shifting the timing off slightly helps to give the beats more width. Layering is also a big part of making drums for me. I layer a lot of kicks to achieve a fatter unique tone that you don’t get from an individual sound sometimes. Shifting the timing by very small amounts on kicks can create some interesting phase shifts on the waveform and can change the sound completely. It can be the difference between a kick sounding fluffy, punchy, or hard. Roland JV1010 – I think this was the start of collecting external hardware, which in itself changed a lot for me. I bought this around the time I started working of King Street Sounds and has a lot of those nice deep classic house piano sounds that can be hard to replicate with VST instruments. 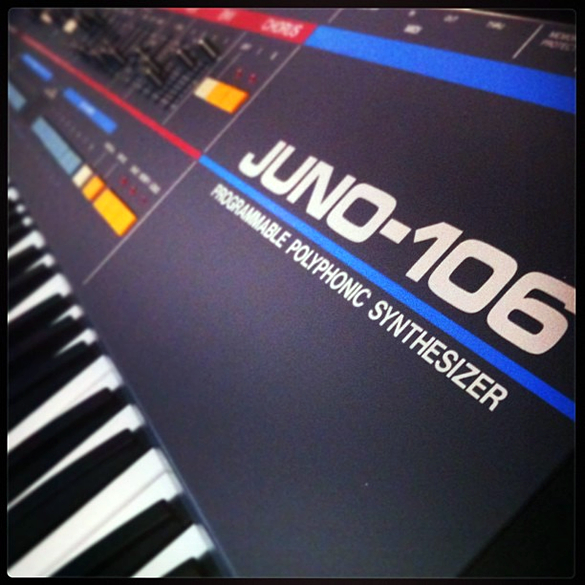 I recently added the Roland Juno 106, which has been a lot of fun so far for experimenting with some new ideas. It has some really great classic sounding pads in there. Many artists across many genres have influenced me as a musician and a DJ. But for direct influence on my production sound the obvious ones are people like Masters at Work, DJ Spinna, early Soulfuric and Jazz N Groove productions, Kerri Chandler Jasper Street Company, Blaze, Frankie Feliciano, Glenn Underground, JoVonn, Victor Simonelli and many more. 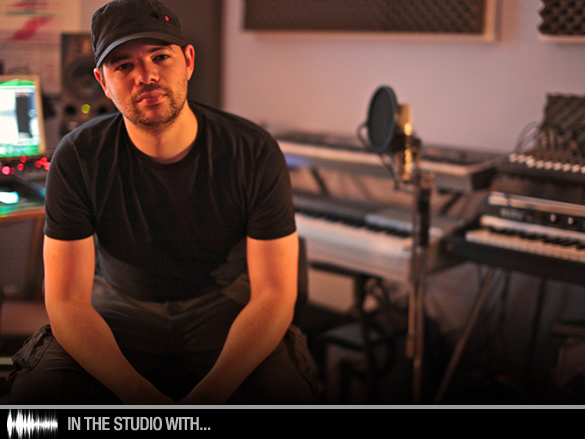 What handy Sean McCabe studio tip would you pass onto producers out there? Use panning wherever you can. I find that it is sometimes forgotten about as a useful production technique for mixing. It helps make your sounds stand out and your mix to sound wider. You hear a lot of early disco mixes using this a lot if you listen on headphones. The mixes are so spread out and it’s a great tool to help prevent similar toned sounds from clashing with each other. Even try automating the panning and volume levels to make the mix more animated. , a remix with Black Sonix on Foliage, and an original production with Kenny Bobien on Quantize Recordings. Some more original projects are also on their way in the next year.